Marvin Gaye is the greatest artist in music history to me. My personal favorite of all time, right alongside Michael Jackson, Prince, Stevie, and Nas. That's my all time top 5. Marvin takes that no. 1 spot for me and his catalog is the reason why. From classic duet albums to groundbreaking solo albums, Marvin left behind one of the greatest musical legacies ever. His progression as an artist throughout his career, the emotional complexity displayed in his vocal ability, and his entire artistic view made him the legend he remains. Today, I wanted to take some time and look at his entire discography. Let's get into it. 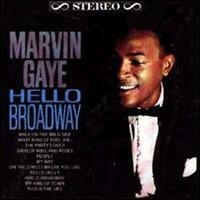 -Marvin debuted on Motown's Tamla Records and this would be his first album. 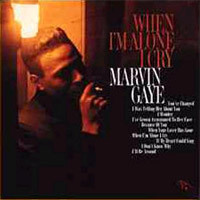 Marvin was boxed in creatively by Motown and couldn't deliver the album he truly wanted, beginning his creative issues and turbulent relationship early on with them. This album features nothing written by Marvin himself, but it is still a nice listen. Tracks like "Let Your Conscience By Your Guide", "How High The Moon", and "Never Let You Go" make this a solid album, but we wouldn't get a glimpse of the real Marvin just yet. -His second album saw him experience more freedom as an artist and success. Marvin was determined to win big in this music industry and his 2nd release would see him garner the first real hits of his career. The title track made some waves and "Pride and Joy" also would gain him big success, but my favorite songs on this album would be "Got To Get My Hands On Some Lovin" and "Hello There Angel". This album was an improvement over his first and you could see his growth as an artist starting to shine. -Marvin was very interested in being seen as a jazz singer. It was seemingly his mission to present an album that had jazz/pop tendencies and this album would be his first real attempt. It is a solid effort, as his voice smoothly captures the essence of jazz, and the songs are sung beautifully, but this is one of my least favorite albums from him. Still, tracks like "When Your Lover Is Gone", "Because Of You", and "I'll Be Around" hit the mark. To be fair, Marvin really doesn't have any bad songs, there are just some that I like more than others or some that just don't do it for me. This album falls into that category I'd say. Still a solid effort, but a small regression from what his 2nd project did. 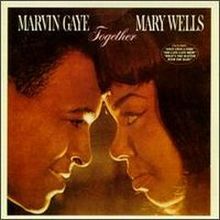 -Motown saw a rising star in Marvin and Mary Wells was a big star already. This was seemingly a marriage made in heaven. 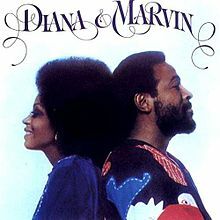 The first and only duo album from these two is a solid listen, much like most Marvin projects, as Mary and Marvin have good musical chemistry. "Until I Met You", "Deed I Do", and "The Late, Late Show" are my personal favorite tracks, but this entire album is a nice enjoyable listen all the way through. It also managed to gain Marvin even more notoriety and success. 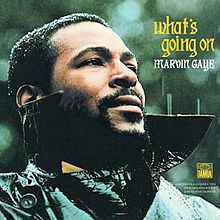 -Marvin continues his jazz aspirations on this album, which is a very forgettable album in his catalog. I almost forgot to include it in the article until I went back to check his full album list. It's not a bad listen by any stretch, it just doesn't grab me like a majority of his other projects. This album features some great music however, and the songs that do work, work very well. Those songs include "Days Of Wine and Roses", "This Is The Life", and "The Party's Over". Once again, this is a solid album overall, just nothing extremely special to rave about. 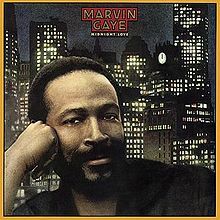 -This is one of my favorite Marvin albums. This is a really great project and the pinnacle of Marvin's growth on Motown. He created a true gem with the title track and it was his biggest record up until that point and rightfully so. It's slightly upbeat, extremely catchy, and beautifully arranged. 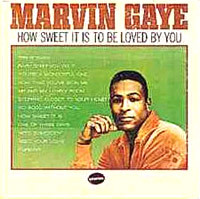 Marvin would feature the legendary Temptations on "Try It Baby", another gem from this album. 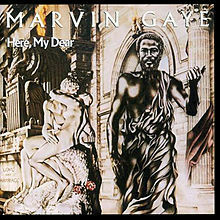 "Need Your Lovin' (Want You Back)", "Baby Don't You Do It", and "Forever" round out a very solid album from Marvin. It's a smooth listen throughout and I'd almost put it into the classic category. It's that good. -As Marvin began crossing over, this was where he hit his stride. He was making hit after hit, but he didn't seem to be as comfortable behind the scenes because he wanted to make more jazz and smoother music. Still, he would go in and create something good with this particular album, bringing hits such as "I'll Be Doggone" and "Ain't That Peculiar". When speaking on this era of Marvin, this album was his biggest so far. He even garnered no. 1 hits with the two aforementioned singles. This was a big album in his discography and the beginning of a turning point. 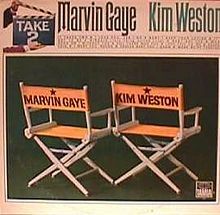 -Marvin was infamously known for his duet albums and here he tries another one with label mate Kim Weston, and this was a solid album, though not as good as his collaboration with Mary Wells. Some noteworthy songs here include "It Takes Two", "Baby I Need Your Loving", "Secret Love", and a few others that round this album out. As expected, there was a hit off this album in "It Takes Two", and that's what most remember on this album. Still, a good effort from this duo. 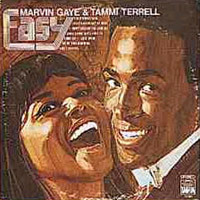 -Kim Weston would end up leaving the label and it would then turn into the newest superstar duo in Marvin and Tammi. 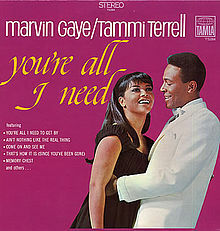 Marvin had done two previous duo albums with Kim and Mary Wells, but he struck gold with Tammi Terrell. Instant chemistry. Instant hits. Iconic music. This is the partner Marvin needed for his music. He was a star now in his own right and with Tammi, they created a classic with this one. I love this album. From the hits like "Ain't No Mountain High Enough", "Your Precious Love", "If I Could Build My Whole World Around You", "If This World Were Mine", to the tracks that aren't as well loved like "Hold Me Oh Darling", this album was great all around. A nice beginning to a partnership that would last a few more albums. 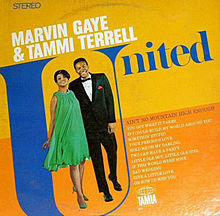 -Marvin knew he had struck gold with Tammi and they followed up their classic with yet another one. It's like this duo couldn't miss with their music and they got hits yet again on this album with "Ain't Nothing Like the Real Thing", the title track, and "Keep On Loving Me Honey". Other tracks on the album that were great include "Give In, You Just Can't Win" and "Baby Don't Cha Worry". This album is seen as the last true collaboration between the two as it's the last album to really feature them together before Tammi succumbed to a brain tumor. Their next album she was not really a part of the process aside from some of the vocals. -This album was a solid effort as well, as Marvin comes back work his solo joint and this was definitely a solid one. 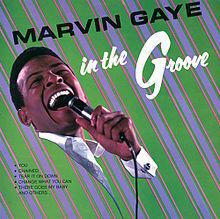 The title track (Grapevine) is one of his best tracks, and this album features more classics from Marvin like "Chained", "At Last (I Found A Love), and "It's Love I Need". Marvin wasn't missing on any of the projects he released during this time, which I like to consider his first prime. -This is one of the more slept on albums from Marvin, but I love this album. We've used a lot of it for DAR samples, but it's a great project for sure. Marvin excels vocally here and I think this might be his most slept on project of them all. From "The End Of Our Road" to "It's A Bitter Pill To Swallow", this album has so many gems. Check this one out if you're unfamiliar with the greatness. -This album is one I feel oddly about. Tammi wasn't really present during this process and Valerie Simpson did a lot of the vocals for it, which she denied. I also feel oddly about it because I know had Tammi not succumbed to her brain tumor, that she and Marvin would have made more greatness in the future. Still, this album features good music like "California Soul", "Love Woke Me Up This Morning", and "What You Gave Me". This album is very bittersweet and I can't listen to it too much. -I'm not a huge fan of this album because it was a lot of covers, but this is a solid project and Marvin excels on a few of these covers, surpassing the original tracks. His cover of "No Time For Tears" is great, but the pinnacle of this album comes with his cover of "Yesterday", which is truly my favorite cover of his ever. The emotion in his voice and his delivery of the lyrics is perfection. 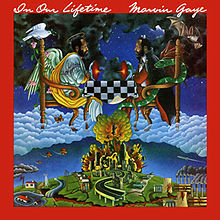 While this isn't my favorite, Marvin still does his thing on this mostly cover album. -I think this is one of the top 10 greatest albums ever. It means so much to music and it means a whole lot to me as an artist and a fan. Marvin was in his prime and during some tough times in the world, he created this classic. The title track remains to be something special and relevant to this very day, and there's also something to be said for the iconic "Mercy Mercy Me". Marvin exhibited such an awareness and such a social activist stance that you could feel a true change in his music and a true change in the man. It's that which makes this album so special. From "What's Happening Brother" to "Save the Children", to the smooth sounds of "Flyin High (In The Friendly Sky), this album has everything you want from Marvin musically. The production flows so smoothly and it sounds like one long beautiful record. 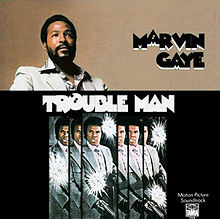 This is my favorite Marvin album (tied with another one) and it is a classic. Marvin has so many of those. This is his greatest achievement. -The soundtrack that solidified Marvin as one of the greatest geniuses and minds. Marvin was given creative control and a 1 million contract renewal around this time. This soundtrack however features Marvin vocally taking a backseat to the production, which is glorious and features a smooth amount of synths and horns. The title track, "Poor Abbey Walsh", and "Life Is A Gamble" are the strongest tracks here on this album. This is often seen as one of his biggest moves and projects and with good reason. It showcases Marvin at his best and most creative in some way. He was now in his 2nd prime. -This album is tied with What's Going On as my favorite and it could very well be better. If you say this is better than What's Going On, I can't fault you. This is another classic, and months ago on the site here, I gave a retro review of it. 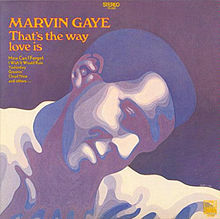 From the title track to "Just To Keep You Satisifed" to "Please Stay (Once You Go Away)", the production and the lyrics have a marriage that almost no other Marvin album have ever had. However, after "Come Get To This", we reach the apex of this album with the beautiful classic "Distant Lover". That is definitely one of the best songs in his entire career and one of my favorite hands down on the album. This is another timeless release from Marvin. He furthered his legacy with this one. -Two mega stars combine for a duet album. It was a big deal and while this album wasn't necessarily the greatest release, I definitely enjoyed the songs here. Both artists vocally delivered and on tracks like "You Are Everything", "Don't Knock My Love", and "Just Say, Just Say", and as a result, the success of the album was no surprise. Not a huge release in his catalog quality wise, but as his last official duet album, it was definitely a big deal. 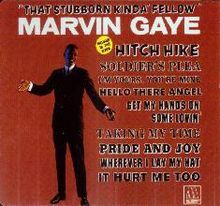 -On a solo album tip, Marvin was on a roll. 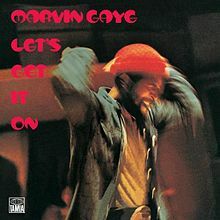 I don't think any artist in history had this many classics in a row, but after M.P.G., What's Going On, Trouble Man, and Let's Get It On, Marvin delivers another classic in I Want You. The title track is one of his greatest tracks ever, and he has some amazing music on this album as well. On tracks like "Come Live With Me Angel", "Feel All My Love Inside", and "Soon I'll Be Loving You Again", Marvin perfects his smooth operator persona and vocal runs. This album is yet another classic for sure. -A lot of people don't like this album. I love it. I think it's in the top 3 Marvin albums ever honestly and his 6th straight classic. Only Let's Get It On and What's Going On are better than this one. 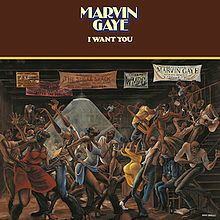 I Want You is close also to this, but for tracks like "I Met A Little Girl", "Is That Enough", "Anna's Song", and the flawless "Falling In Love Again", Marvin easily coasts and expresses so much emotional complexity in each song. 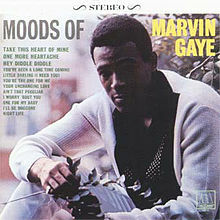 This is his divorce album from Anna Gordy Gaye and Marvin gives more than enough emotion in this album and each song tells its own story. A true classic that wasn't appreciated when it should have been and a double album when first released. -A slept on album from Marvin to me and while it wasn't a classic, it has some amazing tracks. I think Marvin was leaving his 2nd prime and was trying to adapt to the changing times. He had done that so well over the years and here he made a nice transition. The re-release has the amazing "Ego Tripping Out" included, but my favorite song is "Heavy Love Affair". I also enjoyed "Life Is For Learning" and "Funk Me". This wasn't his best, but it is was a top release during the last few years of his career and life. -His last official album. I won't review the posthumous releases because he had no input on those, but I enjoyed Romantically Yours and Vulnerable as well. 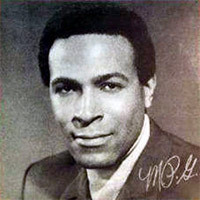 As for Midnight Love, it was the most commercially successful album of his career, sparking yet a higher form of superstardom for Marvin, showing he adapted to the changing time well. I wasn't completely sold on the album when I first heard it, but it's really one of the better albums of the 80's now upon repeat listens. 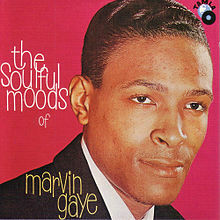 Its got style, soul, funk, and is Marvin at his most smooth in some way. He has some great tracks and of course one of his most iconic singles "Sexual Healing" is there, but songs like "Til Tomorrow" and "Joy" also round out this album. It's a fitting ending project for a man that preached positivity and love throughout his career. I just wish we could have saw where he would go next. Like I mentioned, I'm not going to go into his posthumous releases, but they feature some good music as well. Marvin is a legend and my all time favorite. His discography is beautiful. If you haven't heard all of these albums, take a weekend, relax and enjoy them. It is worth it.